Have you got what it takes to be a spy? Do You Have the Potential to be a Spy? Have you ever considered living the life of a spy? Do think you have the skills and the ability to deceive, investigate and work undercover? Channel 4 are currently looking for a group of 20 ordinary men and women to attempt a demanding course based on the real recruitment and training phases of Britain’s Intelligence Services. This course will mirror the real training provided by Britain’s Intelligence Services and candidates will be immersed in a world of risk and intrigue. 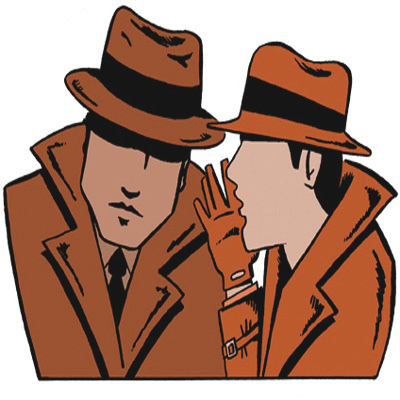 Linguists and those who speak more than one language often possess the skills and thought processes needed to work undercover. Could this be you? Could you deceive for a living? Have you mastered the art of manipulation? Beware: Discretion is vital to this process. Please do not tell anyone about your application as it may affect your chances of being accepted. The test starts now. Please note that you must be at least 18 years old to apply. Due to the very high number of applicants for this series, unfortunately Minnow Films will not be able to reply to everyone. Minnow Films will process your personal data and sensitive personal data in accordance with the 1998 Data Protection Act. Posted on 16/05/2016 25/04/2018 Author Fay DrewryCategories Competitions, Language NewsTags become a spy, language and jobs, use your language skillsLeave a comment on Have you got what it takes to be a spy?